Webmail Pro is a web based email client powered by AJAX technology that allows you to access your POP/IMAP email service using any internet connected computer. Webmail Pro works best with Internet Explorer 7+ or Firefox. NOTE: Webmail Pro does not work with Microsoft Exchange enabled services. For Webvault hosted example, please use Microsoft Outlook Web Access. Read How to Use Microsoft Outlook Web Access 2007 for more information. You can store address contacts in Webmail Pro. Please note that these are only accessible when using Webmail Pro, and cannot be access via Microsoft Outlook or other email software. Click Contacts on the left hand side. Right-Click in the right hand section of the interface and select New. Enter the required information for your new contact and select OK to save. Enter an email address, or select a recipient from your address book. Enter a subject, type your email and then click Send at the top to send your email. You can create additional folders in Webmail Pro to store your email messages. 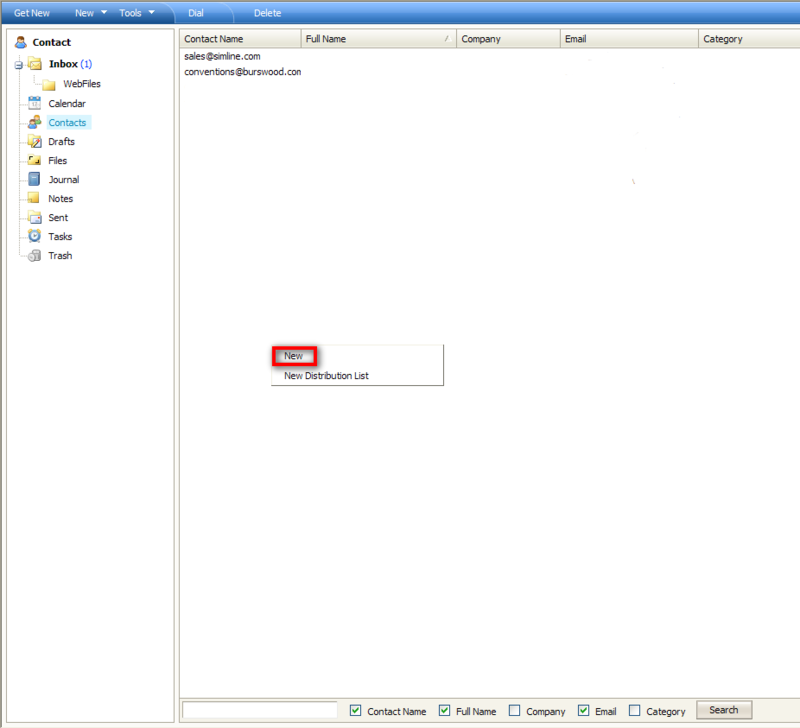 Enter a namefor the new folder, and select Mail as the type. Click OK to create your new folder. You can use Webmail Pro to setup an out of office message for your POP3/IMAP enabled email service. Highlight the Tools menu and select Options. Change the Mode to Respond always or Respond once depending on your preference. Type in your auto responder message and then click OK to save. Now when people send you email, they will receive an out of office message reply automatically. To turn off the Out of Office message, change the Mode drop down option back to Disabled. You can change your POP3 or IMAP email service password using Webmail Pro. NOTE: Changing your email password in Webmail Pro will also change the password required when using other email software on your computer such as Microsoft Outlook. If you change your password, make sure you update any other software or mobile phone devices that also require access to your email mailbox. To change your email password highlight the "Tools" menu and select the Accounts option. In the accounts dialog window enter your current email password in the Old Password field. Then enter your new password in the New Password and Confirm Password fields. To save your new password click OK. NOTE: Your new password must be at least 8 characters long. If your new password is not long enough it cannot be changed.